Sareer diamond memory foam mattress. A dust mite resistant mattress with layers of reflex and memory foam. 15cm reflex foam, 5cm memory foam. Removable/Washable zip cover, dust mite resistant. Monaco mattress from Loren Williams. 1500 pocket springs, microfibre filling. Luxury cotton filling, knitted fabric. 1000 pocket springs, luxury cotton fillings. Balmoral pocket memory mattress from Wheatcroft. 1000 pocket springs, 3" memory foam. Pillow top, healthy air flow. Medium firmness. 1200 pocket springs, luxury cotton fillings. 4 cm memory foam, 4 cm super soft foam. 1500 pocket springs, natural cashmere. Thermal cool memory, 4 cm super soft foam. Ultimate Mattress consists in 1400 small pocket spring directly on top of 1000 more supportive pocket spring offering tremendous comfort & fantastic support. Non-turn mattress, 1500 pocket springs. 7cm Visco elastic Cool Indigo Memory foam. 5cm of memory foam. 25cm total thickness. Very high-quality double jersey cover. Zip-off and dry cleanable cover. Orthopaedic mattress. 5cm of LayGel infused Memory Foam Mattress. Reliable and greater performance over normal memory foam products. Overall 20cm thickness. Quality double jersey cover. Impressions Coolblue 6000 memory mattress. Very high-quality double jersey cover, zip-off and dry cleanable cover. Orthopaedic mattress, anti-dust mite features. Impressions pocket cool indigo mattress. 7cm Visco elastic Cool Indigo Memory foam. 3cm of Reflex Foam. Individually wrapped pocket spring system. 25cm total thickness. Very high-quality double jersey cover. Zip-off and dry cleanable cover. 2.5cm Egg Profiled High-Density reflex foam. 12cm support reflex base. 15cm thickness. Silent – No springs. Orthopaedic Mattress. Sanitised fabric. Hypoallergenic. Body balance egg reflex support 180 mattress. 2.5cm Egg Profiled High-Density Reflex Foam. 14cm support reflex base. 18cm thickness. Silent – No springs. Body balance egg memory zone 500 mattress. 5cm egg profiled memory foam. 14cm support reflex base. 19cm thickness. Silent – No springs. Body balance egg flexgel mattress. 5cm Egg profiled Laygel Foam. 14cm support reflex base. 20cm thickness. Silent – No springs. Revo anniversary memory supreme mattress. Revo Foam is the 4th Generation in foam technology. It is the successor of the UK’s current favourite, memory foam. Dissipates heat away from the body, contributing to a cooler sounder sleep. 1cm of Laytech. 16cm thickness. Orthopedic mattress. Protect against bacteria & fungi. Protect against asthma & allergies. Effective against dust mites. Effective against MRSA. Effective against asthma. Edge to edge support. No roll together. 5cm of memory foam. Traditional coil spring system. Reflex foam boundary around springs. 21cm thickness. 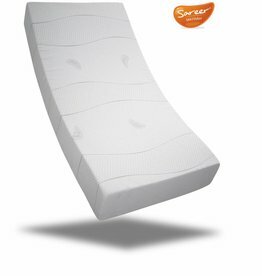 The Sareer Kids Memory mattress is made up of five inches of Reflex foam with a one-inch layer of memory foam on the surface to give your child great support. Cool blue memory foam mattress. Reflex foam. Cool blue memory foam. Removable zip cover. No need to turn. Soft knit cover. Dust mite resistant. Depth (approx): 16 cm. Super soft foam, luxury knitted fabric.